Our ancestors won't climb down from the trees for another 66 million years, but here we are now. Time travel seemed like a good idea. Exploring the ancient world. Building. Creating an entire society here in the jungles of our primordial Earth. Until those SATI guys messed it all up. We've got gear. We've got guns. We've even bioengineered a few dinos to our liking. And that's good, because we'll need it all to survive. History says there's an asteroid headed our way, and there's no one left alive who knows how to get back to the future. Rules for dinosaur companions. Choose a ceratopsian, pterosaur, early mammal, ornithomimid—even a raptor or tyrannosaur. 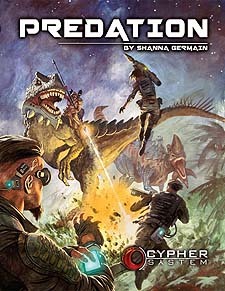 You'll want the help and companionship as you explore the dangerous wilds of Cretaceous Grevakc!